For the third year in a row, it’s raining on The Diamond’s birthday. But no matter. He’ll provide the sunshine. He’s always been a pretty happy kid. 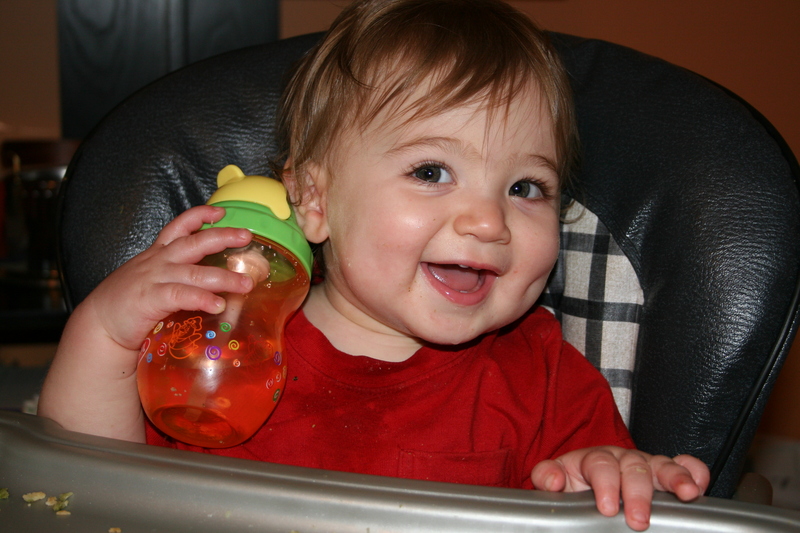 Even as a baby who spit up buckets and buckets of goo, he smiled all the way through it. The GI doc called him a “happy spitter” and told us not to worry. Our smiley Diamond around his 1st birthday. Family, friends and strangers take note of his smile all the time. Every morning, the teacher staffing the carpool line at my other son’s school would say in a booming, sing-song voice, “Gooooood morning, Sunshine!” and tell me how he lit up her day. And his mile-deep dimples have elicited many, many comments from our fellow elevator passengers. The smile comes with a sparkling personality to back it up. I hear him right now, coming down the stairs singing a song he’s in the midst of making up. He’s usually polite, helpful and thoughtful. He adores his friends and can play nicely with them for hours. He gives the best hugs. He gets excited by school and all kinds of learning. He’s curious, talkative and a wackily gifted reader. All this is not to say he doesn’t have his moments. He can throw a tantrum with best of them (though far less frequently now). He is the pokiest dresser and eater I know. He can be bossy to his big brother. And he’s a sensitive kid who can get teary-eyed and upset over not getting the chance to hug and kiss that same brother before bedtime. It’s so amazing to watch the changes in him as he grows up. I’m sure some things will come very easily to him and some things certainly won’t. Through it all, I am choosing to trust that his smile will remain a constant. Not pasted on his face all the time, of course. Just a familiar facial expression that he can comfortably return to again and again. Yesterday, on a super-hot, blindingly bright day, my smiley boy told me he was going to LOVE being 5. Today, it’s raining outside, but, in this house, the sun is shining.